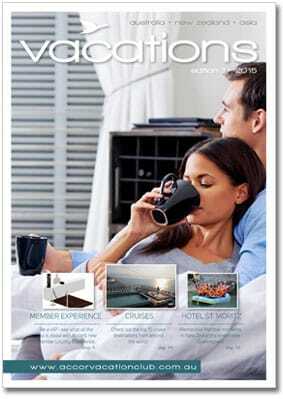 Vacations Magazine is an Accor Vacation Club Members’ Publication released biannually updating Members on new and exciting developments within the Club. You will hear from the Chief Executive Officer at Accor Vacation Club. Craig will update you on the future of the Accor Vacation Club and what’s new for the Clubs Members. Look out for the announcement of the new benefits of the Member Loyalty Program. You will be treated as a true VIP when staying at selected Accor Hotels across Australia. 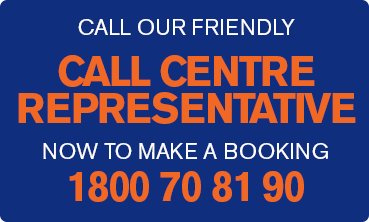 View the step by step guide to booking your next stay with Accor Hotels. It will make taking up one of the amazing Accor Hotels offers even easier. See how the The Sebel Pinnacle Valley Resort & Novotel Bali Nusa Dua refurbishments are progressing. A fantastic article about how the Accor Vacation Club is getting social. Our Week in Queenstown, is an eye opening Member story by Greg and Tina, Accor Vacation Club Members. It covers their 7 day stay at the St. Moritz, in Queenstown. Where they give a wonderful run down of their daily activities and provide tremendous insight into the adventure capital of New Zealand. Their tips of the day are priceless. Our well traveled Captain Scott is back, with loads of information regarding Accor Vacation Club Cruises. Includes the Top 15 Cruise Destinations. Check out all the fun of the recent Melbourne Member Event and Ricky Martin Show. Keep an eye out for the next Member Event, not to be missed. Be prepared for the new Accor Plus experience, formerly known as Accor Advantage Plus. We are launching the Member Memorable Moments Competition, all details provided so get involved. Do not miss the updated Member Benefits section. Exclusive deals for Accor Vacation Club Members.